A historic African American library, a Jewish synagogue, and two Jackson elementary schools have been listed on the National Register of Historic Places. 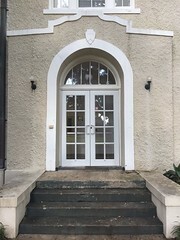 On the recommendation of the Mississippi National Register Review Board, the United States Department of the Interior approved the addition of Myrtle Hall Branch Library for Negroes, Coahoma County; Temple B’nai Israel, Forrest County; Hattie Casey Elementary School, Hinds County; and Pearl Spann Elementary School, Hinds County. 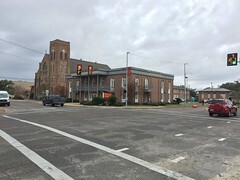 During most of the era of segregation, the Myrtle Hall Library for Negroes (pictured at right) was the only public library for African Americans in the Mississippi Delta. In 1929 a group of Clarksdale African Americans formed a committee, raised $1,000, and lobbied the city for a library to be built near the Myrtle Hall School—one of two African American schools in the city. The city of Clarksdale set aside $2,000 to construct the one-story building. Speakers at the library’s dedication in 1930 included L. J. Rowan, president of Alcorn College; B.A. Green, mayor of Mound Bayou; and William Holtzclaw, president of the Utica Normal and Industrial Institute. The Myrtle Hall Library was also the first home of the Delta Blues Museum. Built in 1946, B’nai Israel Synagogue is located at the corner of Mamie Street and 12th Avenue South in Hattiesburg. Jewish immigrants first began arriving in Forrest County in the 1890s and first worshiped in the home of early Jewish settler Maurice Dreyfus. In 1900 the congregation occupied the top floor of the Odd Fellows Building in downtown. The congregation officially organized in 1915. It has been used continuously since construction by Congregation B’nai Israel. Hattie Casey Elementary School was constructed as a white school in 1961 and named in honor of longtime Jackson educator Hattie M. Casey. The school was built in response to the tremendous increase in Jackson’s population after World War II along with new suburban development in northeast Jackson. The one-story school is a local example of Modernist or International style. Hattie Casey Elementary School is also an example of the cluster type of school architecture, which refers to concentrating the different functions of the school in certain parts of the building. The school is still in use. Pearl Spann Elementary School was one of three white schools built with money from a 1956 bond referendum in response to Jackson’s rapidly growing population after World War II. The one-story, cluster-designed school was competed in 1958 at the start of the school year and named after a longtime Jackson educator, Susie Pearl Spann. Pearl Spann Elementary was designed in the Modernist or International style by architecture firm Overstreet, Ware, and Ware and still serves Jackson students. 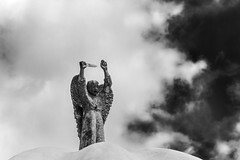 The Department of Archives and History is the official State Historic Preservation Office in Mississippi and handles all requests for National Register information and assistance. Congress established the National Register of Historic Places in 1966 as a list of federally recognized properties especially worthy of protection and preservation. 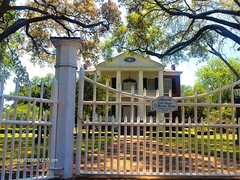 Mississippi has more than 1,200 National Register properties, including archaeological sites, battlefields, bridges, buildings, cemeteries, forts, houses, and historic districts. For more information call 601-576-6940 or visit http://www.mdah.ms.gov. nice to see that the hattiesburg synagogue has been added to the national register. most of my childhood was spent not far away–at 200 mamie street– and, early on, jewish friends took me inside this structure. it is a handsome building that, from the photo posted, looks almost exactly as it did in the 1950s! i haven’t looked at the nr listing (yet) but i would hope that the architect is known? in doing some further research on the hattiesburg synagogue, i have found their fine website; the ‘history’ section is extremely informative, describing hattiesburg’s jewish community both in general and specifically–with reference to many families i knew growing up. 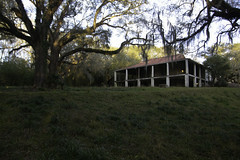 the site is updated to reflect the new national register listing, but there is no mention of the building’s architect. and, while the text pictures what i presume to be the bullding’s cornerstone, the photo is not clear enough for me to discern an architect’s name. i am going to write a letter of inquiry, however. have continued my research on the hattiesburg synagogue, and, from someone there, have found out that the architects for the building were landry and mathes, hattiesburg, and the contractors, t m massengale and g s oden—important names in the construction trades in hattiesburg at the time, and, of course, familiar to me. 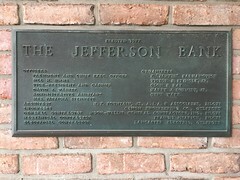 construction began in may, 1946, and the building was dedicated on 6/1/1947. further, i was told that the building cost estimate was $45,000 but the final figure was in the neighborhood of $75.000, which is frightening as far as ‘over budget’! i gracefully asked ‘why’, but haven’t had the answer yet! i suspect that the congregation wasn’t very happy! I imagine the National Register Nomination Form has the answer to the high building cost and all other queries associated with this building. It seems with every passing year National Register forms become more and more detailed, a great boon for historic preservationists and architectural historians. As to the high building cost, I would imagine it stems from the incredible rise in building costs after World War II. The end of World War II saw a huge demand for housing and an inversely small amount of building materials. If they were budgeting based on 1941 prices, they would have found that their budget did not amount to much in 1946.
thanks for your probably correct thoughts, mr white. on the other hand, i would still think that the clients weren’t happy! As to the Hattie Casey School, my late husband , Charles G Mitchell Jr was the architect on that school. I looked in one of his brochures and found $350,000 which I assume was the cost of building in 1961. He had an architectural practice in Jackson for many years.